← Augusta Injury Lawyers: We are on Your Side! 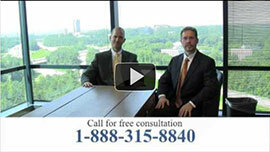 Athens Injury Lawyers: You Can Count on Link & Smith, P.C. Athens, GA is home to more than just one of the oldest, and most prestigious universities in the Southeast. It is home to one of the most respected personal injury law firms in Georgia, Link & Smith P.C. Walk through downtown, and you’ll find an array of restaurants, music venues, businesses, and an incredible music scene. In fact, many artists have gotten their start in one of the many music venues lining the downtown streets. But, at the heart of the city you’ll find the University of Georgia, home of the Georgia Bulldogs, and on game day, thousands of fans fill the streets and the stadium to cheer on their favorite team. With the amount of students and general population in the area, personal injuries do occur. When these accidents occur, attorneys Mark Link & Houston Smith of Link & Smith, P.C. are available to help you in your time of need. Whether you or a loved one have been injured in a tractor-trailer accident, trip and fall injury, serious car wreck, or DUI accident, our injury lawyers are here to meet your needs. Our Athens injury lawyers are dedicated to serving the local community. They are both graduates of the University of Georgia School of Law, so their affinity for the school runs deep. They serve cities all around metro-Atlanta, and provide their services to UGA fans who have been injured. These attorneys at Link and Smith P.C. have an incredible case record, winning claims upwards of $40 million. They provide representation in almost every aspect of personal injury law, including big rig accidents, motorcycle accidents, auto accidents, DUI accidents, and wrongful-death. Although Mark Link and Houston Smith of Link & Smith P.C. are UGA alumni, they are more than happy to provide quality representation to Yellow Jackets fans as well! If you’ve suffered a personal injury whether you’re a fan of the Bulldogs or Jackets, call an injury lawyer at Link & Smith P.C. at 888-315-8840 for a complimentary consultation. This entry was posted in Blog, Personal Injury Attorneys and tagged Athens injury lawyers. Bookmark the permalink.